This customer in West Ashby, near Horncastle recently had no means of heating after his old oil boiler failed. 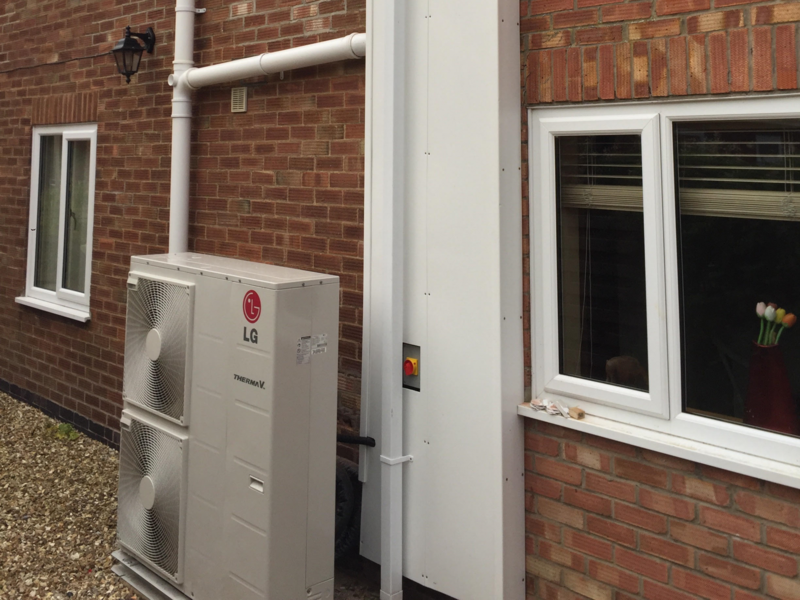 He is now benefiting from the heat & hot water provided by his new LG 14kW Therma V Air Source Heat Pump. Remember not only are these more efficient than old oil, LPG & gas boilers, you receive Government payments for 7 years to have this and it protects you from increases in your fuel heating costs.